the home of natural, quality, designer yarns for hand knitting and crochet. 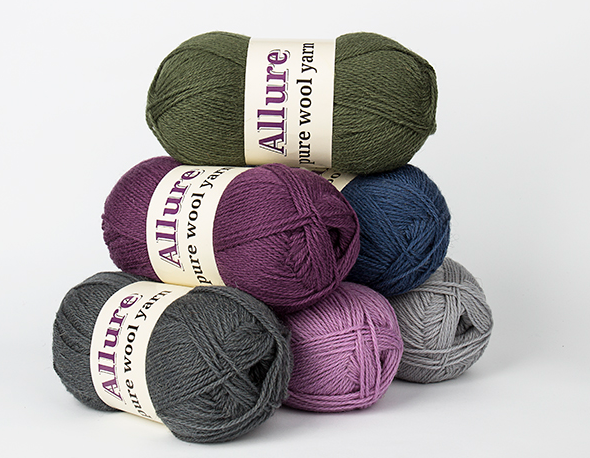 Allure Wool Yarn is a glamorous, soft and elegant wool yarn, that is attractive and tempting at the same time! We have a selection of charming colours, Allure Wool Yarn is a light weight wool yarn, it is a joy to work with and the result is an even stitch texture with great stitch definition. The yarn is a sports weight 100% pure wool yarn, that knits up to 25 sts by 34 rows. 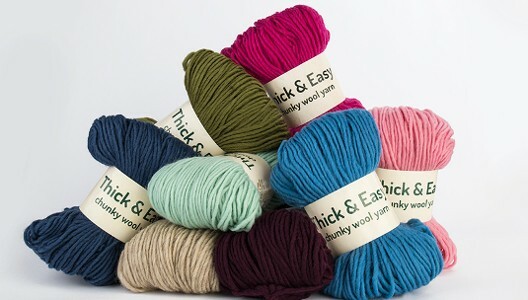 We recommend to use 3-3.5mm needles for this wool yarn. Allure Wool Yarn is now available for you to stock, contact us for more information or to receive your FREE samples and shade cards. Click here to email knitshop yarn. 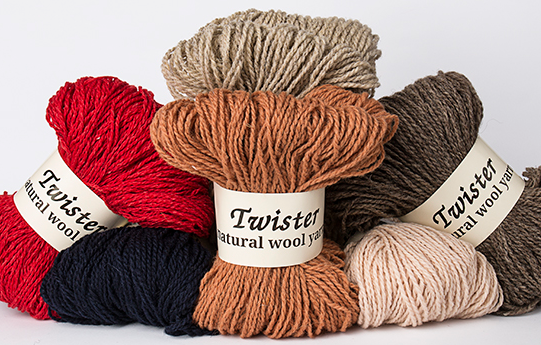 25% off Allure Wool Yarn for a limited time only! 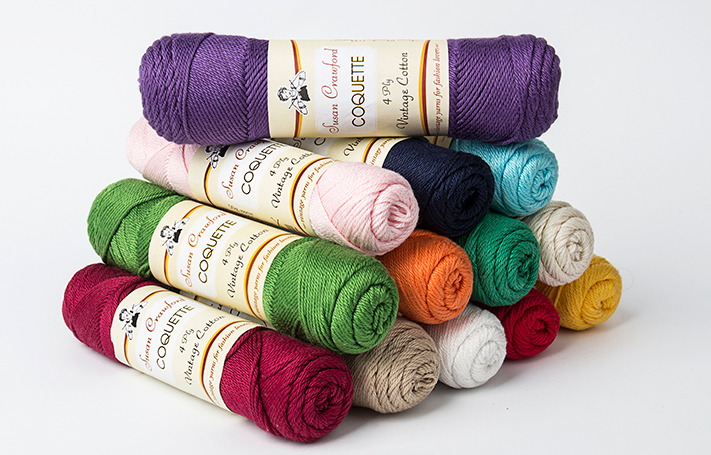 Interested to find out more about Coquette Vintage Cotton Yarn and our free trial offer? 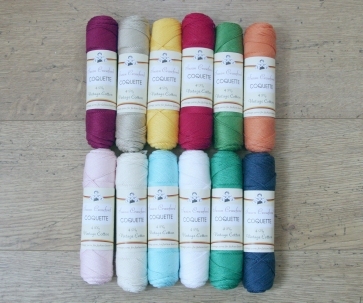 Find out more about Coquette Vintage Cotton Yarn, see the colour palette and yarn information. 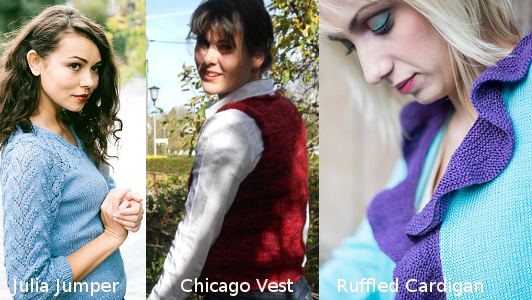 You can also visit our pattern page to find out the patterns available for Coquette Vintage Cotton Yarn. Are you a shop or knitwear / crochet designer? 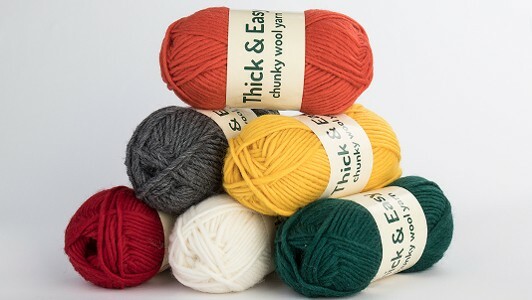 Or just interested to find out more about the yarns we sell? Click here to see all available shade cards.